View Poll Results: Chicago MSA vs Philadelphia MSA: Most bang for your buck? tmac9wr, you provided good information in post #10 pertaining to rent prices and real estate prices. Libohove90, I was under the assumption Philadelphia had beaches closer than 2 hours away? I thought Delaware, Maryland and even NJ beaches were closer than 2 hrs away. Depends on traffic haha. I've done it in an hour before (on a Wednesday in January). Also I have made it from Cape May (Furthest tip of Jersey) to Center City on weekday mornings in ~ 1:30 minutes but i do leave at 5AM to do so. Honestly, city vs city this one goes to Chicago. But I voted for Philly. Having NYC in your back yard is just too much of a trump card. NYC, DC, Baltimore, Jersey Shore, Poconos, Alleghenies, etc. I love Chicago but its location is slightly unfortunate. If it weren't for the Northwoods living around here would drive me batty. I'm more of a Michigan Dunes guy myself, but I hear ya. 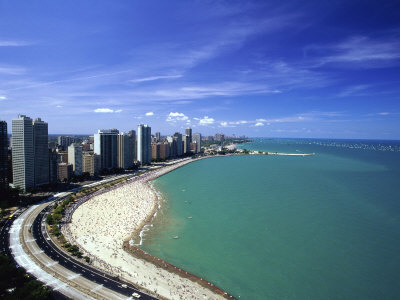 Chicago's location would be much worse if it didn't have Lake Michigan on its doorstep. But since it does, it contributes quite a bit to Chicago's attractiveness. Some will say the the Northeast wins this easily, but I'm not entirely convinced of this, esp if you want to throw in a nice college city like Madison, WI into the mix. If you travel between Chicago and St. Louis, or between Chicago and MSP, you'll see a lot of corn fields and dairy farms, but if you travel between NYC and DC, you'll see a lot of urban blight, so take your pick.. Some will say the the Northeast wins this easily, but I'm not entirely convinced of this, esp if you want to throw in a nice college city like Madison, WI into the mix. If you travel between Chicago and St. Louis, or between Chicago and MSP, you'see a lot of corn fields and dairy farms, but if you travel between NYC and DC, you'll see a lot of urban blight, so take your pick..
No, it would not be appropriate to compare NYC with Chicago. I picked Chicago and Philadelphia as my comparison for a reason. The reason is because I am thinking about moving to Chicago or Philadelphia. This is not a comparison of the Northeast vs. The Midwest. I should have left location out of my comparison completely because it seems this is the only topic people care to talk about. I didn't vote since I didn't spend enough time in Chicago (compared to Philly) to make a legitimate comparision for a vote. I've probably spent a total of 3-4 days in Chicago and lived in Philly for 8 months, but I'm considering trying out Chicago in the near future. Of all the cities I lived in, Philly is my favorite. In another thread, I said I would pick Philly over Chicago, but after more thought I've decided to take that back. When I first arrived in Philly in May of '06, I walked around Center City for the first time, and thought to myself "Wow, this is just like Chicago!" (I made my first visit to Chicago in May of 2000). I spent a few days in Chicago about a month ago. I'm 29 years old. I'm single, and I don't see that status changing anytime soon. I don't have any kids. I do have a Bachelor's degree in engineering, but that's all I have in the way of higher education (thus, I'm not highly educated or anything like that). Overall, the reason Philadelphia is the best city that I've ever lived in, is because I crave big city, urban living. I really have no desire to get married or settle down. I have no desire to ever buy a house or even a car for that matter (I don't have much of a desire to drive, though I like to keep my driver's license current just in case I want to rent a car or whatever). I prefer the typical urban lifestyle of living in the city in a small apartment, using public transportation to get around, working somewhere in the city, and having fun--basically, the lifestyle I had when I was in Philly. I'm currently staying in Minneapolis. While Minneapolis is a good city and all, it's not the kind of city I'm looking for. It's too sterile and modern and "21st Century," and doesn't have that gritty, authentic, "rough around the edges" quality that are prevalent in both Philadelphia and Chicago. It seems that density and vibrancy and "hustle and bustle" in Minneapolis is very limited, while Chicago has those qualities all over the place. I don't like the social vibe in Minneapolis at all, and I have found the whole "Minnesota Nice" thing to be true (and so have other people I met who weren't from the area, as their descriptions of the people in Minneapolis have been very similar to the Minnesota Nice). Minneapolis does have some traditional urban areas, but there's just not enough of them. So, in short, I'm probably going to be heading over to Chicago at some point in the near future. I choose Chicago because it's larger than Philly, but still has the same dense/urban/congested quality that Philly has. Plus, Chicago is only 4 hours from Ann Arbor (my hometown) whenever I want to go home and see my folks. Also, Chicago will be much better for a single, mature guy like myself. Plus, I like the people in Chicago WAAAAAAY better than the people in Minneapolis. Really, Chicagoans are generally very good, very interesting people, just like the people in Philadelphia. I kind of knew Minneapolis wasn't going to work out for me when I first moved here, but now after spending more time here, it's been confirmed. I'm OUT of here! (and no, I won't let the door hit me). Although I moved to Philly, on a strictly city-comparison basis, I find Chicago has more to offer. Plus, Philly can't compete with Chicago's great park system, not to mention that lake! While Philly is no slouch, pound for pound, I find the city of Chicago packs more punch. This thread is about MSA, however, which is why I selected Philly both in this poll and as a place to call home. We like to make day- and overnight-trips in the local area. 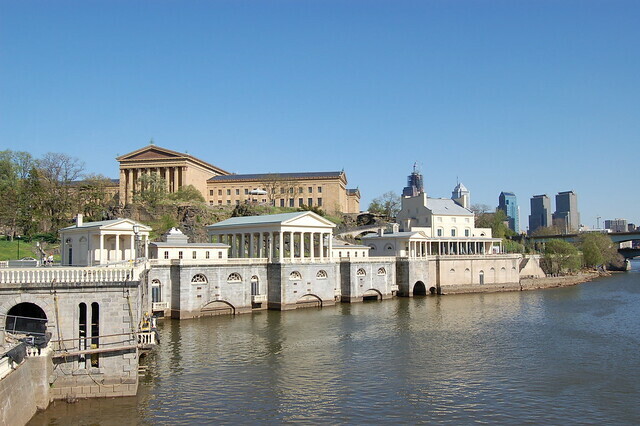 Within 3 hours, the variety of what Philly offers - the cities, charming small towns, the historical sites, the topography (bays, ocean, rolling countryside, mountains), simply blows Chicago out of the water. In fact, I think it tops any US metro in that regard. Philadelphia doesnt really have a waterfront, unless somebody counts the river next to it so I guess it still counts. And across the river is Camden New Jersey. I am not contending the riverfronts compete with Lake Michigan - just clearing up a misperception. Last edited by Pine to Vine; 07-09-2011 at 09:35 AM.. Dining - tie, both have their bit seller foods, and great restaurants. Parks and Squares - philly. Weather - depends what you like, i like warmer weather. Other - philly ideal location, top notch suburbs. both cities are very similar, in all aspects. Even when comparing the suburbs, they are very similar. Philly city is probably more affordable than chicago overall, but suburban philly i think is more expensive overall. Also philly is on an upswing right now, and chicago is not, so i would say that philly has a brighter future. Scottie, beem me up and pass me the angel dust. You are out of your PCP feasting mind, if you tie Chicago's beaches with Philly's. And first of all, Philly isnt even the king of its region. Philly is more like Boston and DC. Chicago runs the Midwest, second/third cities are NEVER similar in ALL aspects to kings of the regions like NY, CHI, LA. Then you compared driving 2 hours to a beach in dirty New Jersey to living ON Lake Michigan. How does that tie with Chicago? If you have to leave your city to go to the beach then that automatically disqualifies you from being as good as Chicago. You're smoking crack to even compare Philly beachs to Chicago and saying it's a tie.